The spring turkey season has just ended and as always first-time stories are always the best. On my first turkey hunt I attended a class given by Fish and Wildlife and was encouraged enough to buy a full camo outfit, with mask, which made me look the way I thought I should. Then I listened to hours of instructional tapes and practiced, which gave me confidence and with a new shotgun I was ready. I’m not sure what happened, there were turkeys in the area, but my practiced hen calls must have been saying, “go away,” or worse. I never saw a turkey. 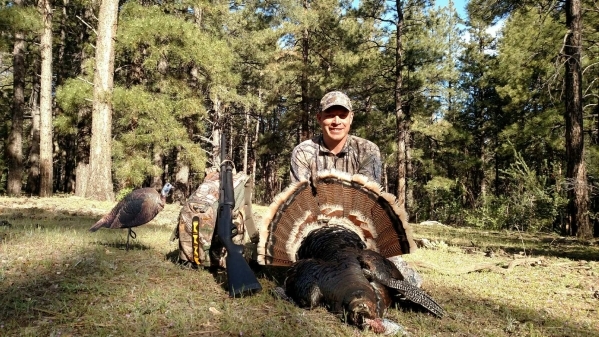 Ben Arata recently returned from his first turkey hunt in Arizona and found it more successful. He had his gear properly stowed in his new Tenzing pack with its expandable main pocket large enough to hold his decoy and an assortment of well-placed pouches, which made it easy to store an assortment of calls, special turkey shot shells, the many “essential” items every hunter needs and lots of water. Everything he would need for a multi-day hunt. My point here is, as with optics, get the best pack you can afford. Your back and shoulders will thank you, keep you organized and it will last a lifetime. He then found an appropriate-looking tree, put his back to it and started calling. He received immediate responses from a distance, but couldn’t get them to come to his decoy in the open western terrain. Being the experienced bow hunter that he is and in full camo he stalked forward and began calling again with greater success. One shot and the hunt was over, but Ben had caught Turkey Fever. It won’t be his last hunt. I had imagined my hunt would go like that, I guess I caught Turkey Fever secondhand. Yep, I’ve caught the bug too. Another close hunting pal, George Fenton, is now a turkey hunting fanatic, but he started the quest in a humble manner. He was a Marine Corps Captain, serving in Quantico, Virginia, where a friend gave him instructions on the fine art of the hunt. It didn’t take him long in that wonderful area to find and shoot his first gobbler. He used a 20-gauge shotgun with number 4 shot (considered by most to be a bit light) and he “rolled” the first gobbler that he saw. Having aimed at the bird’s center of mass, rather than the head, he broke its wing and rendered it semi-conscious. So, he cleared his gun and grabbed the suddenly awakened bird. That’s when he discovered the difference between turkeys and other feathered game. The bird suddenly became very alive and dug its long spur into George’s hand, as it beat him with its wing and tried to remove one of his fingers with its sharp beak. What does one do in a situation like this? Well, I’d let loose, but George grabbed it by the body and slammed its head against a tree, a wrong move. That made his 16-pound new friend really mad and it dug its spurs into George’s chest this time. Another hit against the tree and the trophy bird was his. George was now proud of his first-ever wild turkey and took it home to his new wife, who, by the way, was not a hunter. She was brave, though, and admired the prize. Sure, it still had a few feathers present; its skin was bruised from the fight and had half a dozen ticks still on it. Not to be deterred, she ignored that it was full of number 4 shot. It would be their Thanksgiving turkey. Well, this was not a “Butterball,” and it ended the day as Thanksgiving stew. “It was terrible, but it was my first turkey,” George said. His second turkey worked out better. He did, until it became infected, then he whined as the rest of us would. 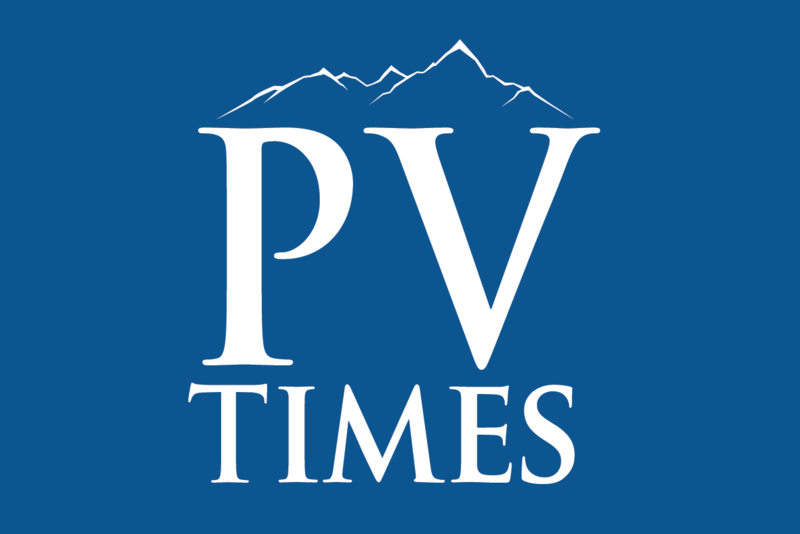 The group provides hunts and guidance for disabled veterans. On one of the project’s hunts he guided Marine Sgt. Brad Adams on his first hunt in the Sand Hills of Nebraska. This hunt was arranged through Outdoor Connection Outfitters and sponsored by the Taser Corporation. They were set up on the Dismal River (yes, that’s its name) and hunted the river’s edge. As Marines, they refused to hunt the blinds and in their full ghillie camo suits, made themselves part of a brushy thicket. It wasn’t long and they heard a gobbler across the river. It was responding first to one hen, then another. They set up a decoy 60 yards from the river and began using first a diaphragm, and then a box call, to coax the gobbler from the other side. They continued for 30 minutes, now sounding like three hens, and finally they used their gobbler shock shaker call. It only took two minutes and the tom and the two hens flew across the river. They landed 80 yards away and went directly for the decoy, followed by a second gobbler in full strut. A few more hen “cackles” and the two came to within 15 yards. Using Marine hand signals, the two hunters communicated their strategy, and it was over. Total hunt time: Less than an hour. These are the trials of a beginning turkey hunter. I’d tell you more about mine, but it’s even more embarrassing than my good friend George’s. To be fair I must mention he is now a seasoned and well-respected wild turkey aficionado and I have accepted an invitation to hunt with George this spring. You’ll read much about that hunt one day; it’s the nature of Turkey Fever. Although the hunt may have been quick, take your time and brine your turkey for great flavor and a really moist bird.Brandy will help tenderize your turkey. If you don’t have apple brandy you can use whiskey (maybe a little “Wild Turkey”). Be sure to save enough to toast to your good fortune and everything you are thankful for. The American wild turkey, unlike its plump table-fare cousin, is intelligent and full of fight as George discovered. Benjamin Franklin called it a noble bird, and even suggested it as our national symbol. Fortunately his idea wasn’t adopted; Bald Eagle at our Thanksgiving table wouldn’t be as appetizing. One 15 – 20 pound bird; 3 cups hot water; ¾ cup kosher salt; ½ cup sugar; 3 bay leaves; 1 Tbsp. black peppercorns, slightly crushed; 6 cloves garlic, slightly crushed; 1 Tbsp. crushed red pepper flakes; 6 cups apple cider; 2 cups apple brandy; 2 lbs. of ice cubes. Rinse bird inside and out with cold water and place in cooler large enough for bird and all ingredients. In a pan heat water add salt and sugar and stir until dissolved; add bay leaves, peppercorns, garlic and crushed red pepper, let sit for one hour; pour apple cider, brandy and ice cubes over bird; pour salt mixture into cooler making sure bird is completely covered; add more cider or water if necessary; let brine overnight, remove bird from brine, dry completely and roast or deep fry until cooked thoroughly. Serve with all the trimmings and enjoy. If you have an adventure, a story or a comment give me a call (775) 727-9777 or e-mail me at dansimmons@usa.net.